Peel, core and cut pumpkin into cubes. Peel and cut onion, garlic, ginger, potato and carrots as well. Heat up butter in a huge pot and sautée onion and garlic for 5 minutes. Add ginger and heat it up for 1 minute. Add pumpkin, potato and carrot cubes and roast for about 5 more minutes. Pour in vegetable broth, bring to the boil and let it cook for about 20 minutes, until soft. Finally, add coconut milk and lemon juice. Purée everything with a blender until smooth and creamy and add curry powder to taste. 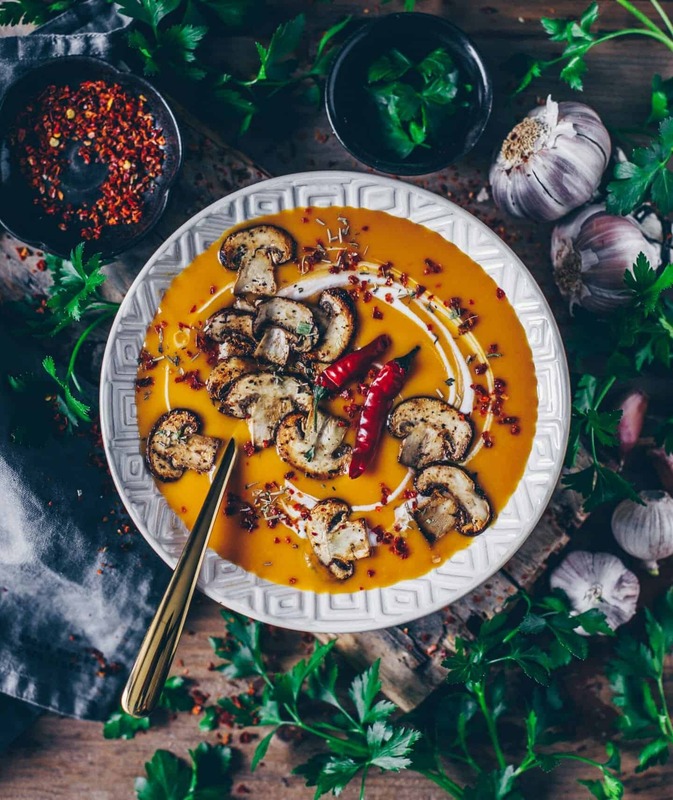 Serve the soup with roasted mushrooms, pumpkin seeds, chili flakes and fresh parsley as desired.